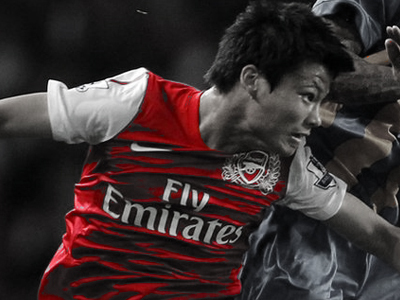 Arsenal manager Arsene Wenger is confident that Ryo Miyaichi has the right qualities to carve out a successful career. The 20-year-old, who spent the majority of last season on loan at Wigan Athletic, has been nursing an ankle ligament injury since March. Ryo is on the road to recovery after surgery and Wenger believes he could succeed where Arsenal’s first Japanese Gunner – Junichi Inamoto – did not. Ryo Miyaichi who signed a professional contract at the Emirates stadium in the summer of 2011, has insisted that he is ready to play for the Gunners and is targeting playing a crucial part in the club’s pre-season tour of Asia. I have great hopes for Ryo because he has the traditional Japanese qualities. Japanese players technically have a very good touch, they are mobile, agile, a bit lightweight but they move well. It’s usually a player that has a great attitude towards the team. Ryo has a fantastic attitude for sure. He has just come out of rehab after a big knee injury, and the physios have told me they have never known an attitude like it. So he has those qualities, and as well he is tricky, has great pace, and works very hard. He has to learn to become mature tactically – shrewd tactically – but all the rest, he has. Former Wigan manager Martinez has tipped the 20-year old Miyaichi to have an incredible future and it seems Arsene Wenger also shares his view. The winger raced Theo Walcott in pre-season last year and matched the English man stride for stride. He seems to have all the abilities needed to become a very good Premier League player but may need to build up a little bit of strength, having been unlucky with injury this campaign. Wenger will be probably be hoping that Miyaichi can become as much of a talent at Arsenal as fellow countryman Shinji Kagawa has become during his debut season at Manchester United. There is every chance that Ryo will go on to become a big star for Arsenal in the next few years if he can avoid further injury. He is certainly skillful and perhaps some good performances this summer will persuade Wenger to integrate him into the Arsenal First Team for next season.